The government announced today that it will legislate to "protect the vulnerable from aggressive fundraisers and rogue charities" after a series of articles appeared in the Daily Mail about methods used by some telephone fundraising agencies. It said it would introduce "tough" amendments to the Charities (Protection and Social Investment) Bill, currently going through parliament, to require all new contracts between charities and fundraising agencies to state how the vulnerable are protected. The amendments will also require charities with incomes of more than £1m a year to publish details of their fundraising activities in their annual reports. The Minister for Civil Society, Rob Wilson, has asked Sir Stuart Etherington, chief executive of the National Council for Voluntary Organisations, to lead a review of the self-regulation of fundraising, which will make recommendations in September. Other review members are expected to be Baroness Pitkeathley (Labour), Lord Leigh of Hurley (Conservative) and Lord Wallace of Saltaire (Liberal Democrat). 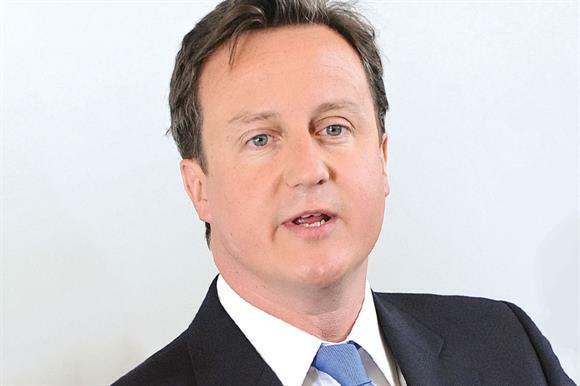 The moves were announced by the Prime Minister, David Cameron, who said "the conduct of some fundraisers used by charities is frankly unacceptable and damages the reputation of the sector as a whole". A government statement said the legislation would require professional fundraisers to set out in fundraising agreements what steps they take to protect vulnerable people from high-pressure fundraising, the best practice they follow and how charities monitor compliance. The details required in charity annual reports would include their approach to fundraising, their use of professional fundraising agencies and the steps they take to prevent inappropriate fundraising from vulnerable people. Wilson said in a statement: "After the tragic death of Olive Cooke, I made clear that the behaviour of charities had to change or we would take action – today I am delivering on that promise. "The change will give charities nowhere to hide if fundraisers inappropriately pressurise vulnerable people into donating. And charities will be able to end contracts with fundraisers that break these agreements." Etherington said in a statement that the public demanded "a simple and effective system of regulation. My review will respond to clear public concern about fundraising that has overstepped the mark." Peter Lewis, chief executive of the Institute of Fundraising, welcomed the government’s moves. "The vast majority of fundraising in the UK is undertaken to the very highest standards," he said in a statement. "However, it is clear from what has been exposed over the last few weeks that some practices are totally unacceptable. "Vulnerable people should never feel under pressure to donate and we are determined to put that right. We welcome any steps that will further help protect them from unwanted or inappropriate approaches. He also welcomed the review: "We look forward to working with the government and Sir Stuart to make sure it delivers a robust self-regulatory system that we can all be proud of." It was also "absolutely right" that trustees should take responsibility for the fundraising of their charities, and the IoF looked forward to developing guidance on this with the Charity Commission and other sector umbrella bodies. "It is also absolutely right that charities have to take responsibility for the activities of any subcontracted agencies and ensure those agencies behave in an appropriate and respectful way to any vulnerable or potentially vulnerable people," Lewis said.